« China gave coordinates for the drills that cover an area from the east of China’s Hainan Island down to and including the Xisha Islands, » Reuters reported Sunday. « The timing of the exercises in the South China Sea is subtle, but it’s not necessary to link it with the arbitration, because the exercise is a routine activity that was planned a long time ago, » Liu Feng, an expert on Chinese maritime issues, told the Global Times on Sunday. China’s defense ministry spokesperson Wu Qian confirmed to the Global Times at a press briefing on Thursday that China and Russia were negotiating on the « Joint Sea-2016 » drills. « The time and location of the joint drills will only be decided by technical concerns, instead of political issues, » Wang noted, adding that it shows the maritime interactions on sea between the two countries is strengthening. « Since the US has been trying to gang up in the South China Sea, the joint drills show that China also needs support and understanding from the international society in order to defend its just title and maintain regional stability, » Liu said. 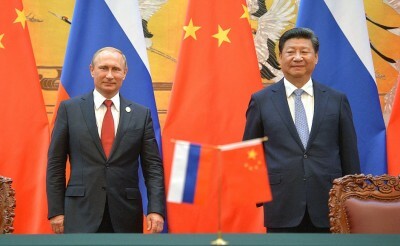 China and Russia vowed to strengthen global strategic stability in a joint statement signed by Chinese President Xi Jinpingand his Russian counterpart Vladimir Putin on June 25 during Putin’s visit to Beijing, Xinhua reported. « Even though China and the US have some misunderstandings and conflicts over sea issues, cooperation is larger and more important, » Liu noted, adding that China’s participation in RIMPAC is beneficial to maintain regional safety.